As I was looking through pictures of projects I’d completed, I realized I never posted this last year. 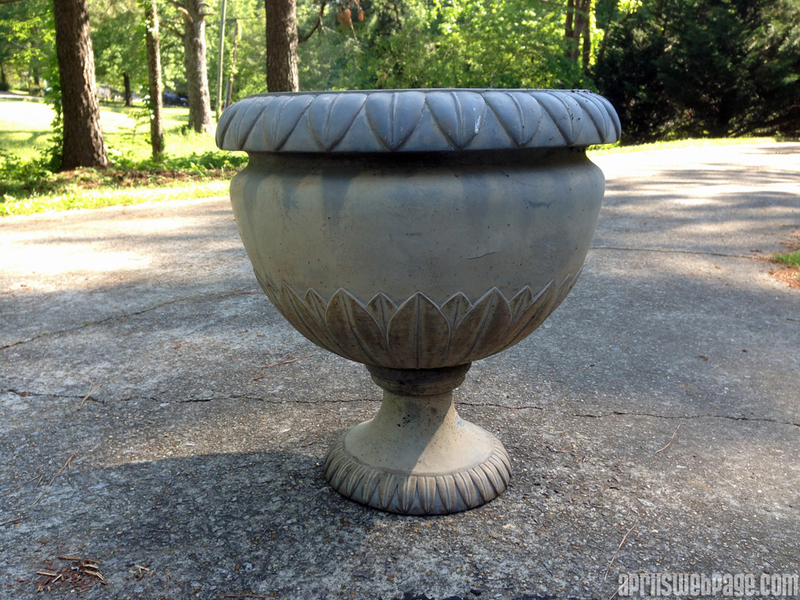 Someone had given me 3 of these gray planters a few years ago, and last year, I decided they needed a makeover. They just looked . . . blah, for a lack of a better term. You could tell they’d been around for a while. 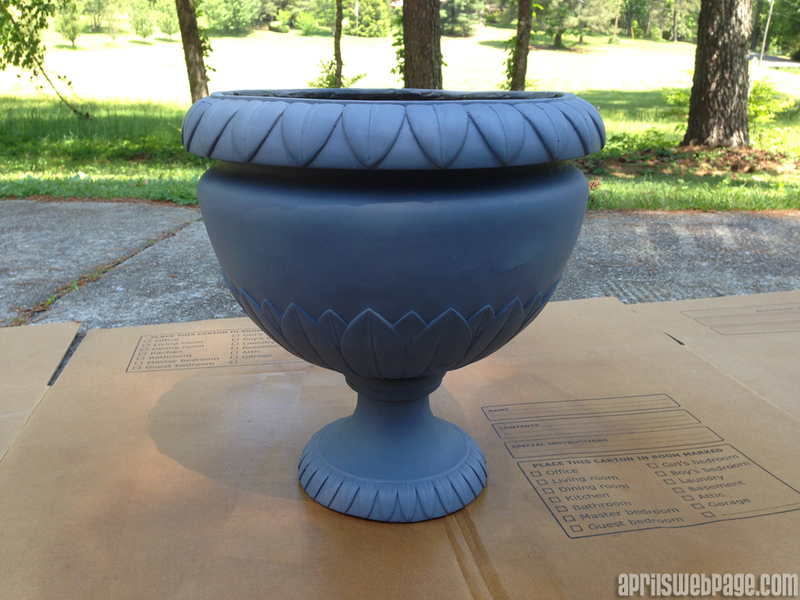 I cleaned each one the best I could and then spray painted them with gray primer. The primer already makes it look soooooo much better. It amazes me at what a difference painting something can make. 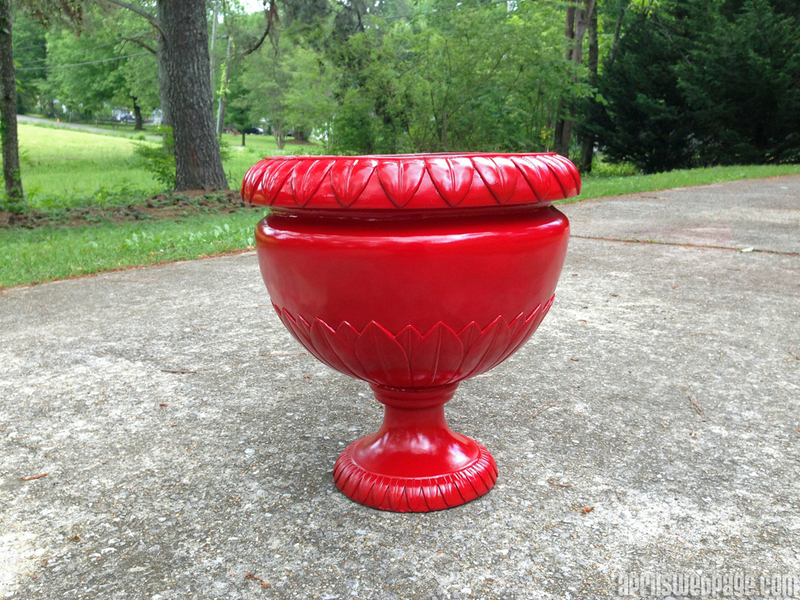 I used Rust-Oleum spray paint in Apple Red, Gloss. I didn’t have many options for colors that will go well with the hideous orange someone decided to paint our house and parts of our deck prior to us moving there. Last year after painting them, I put one on the front porch for my purple shamrock. 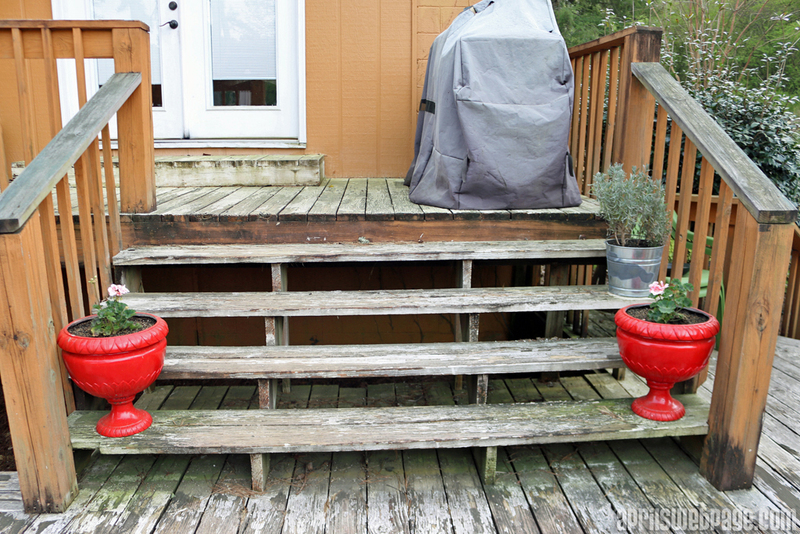 And I put 2 on the back deck, flanking a set of steps. Please ignore the horrible condition our deck is in. 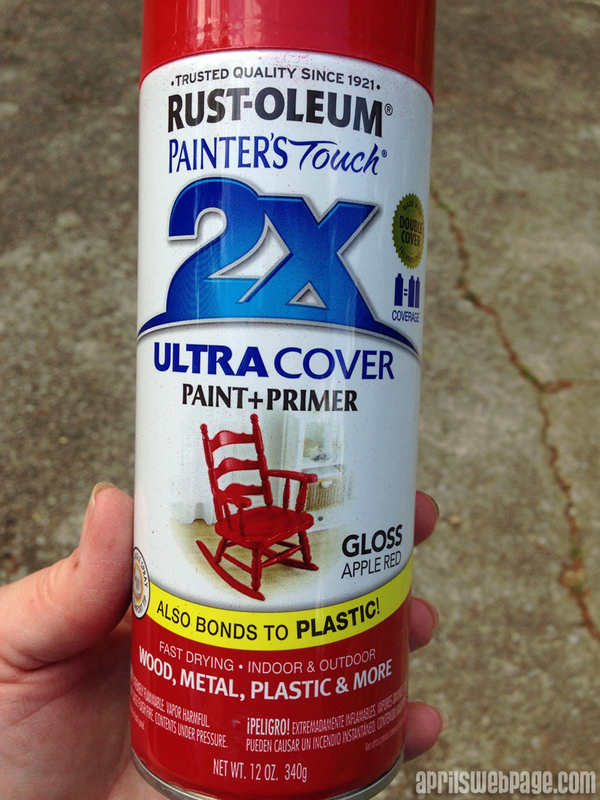 I have purchased a wood cleaner in hopes of cleaning it up the best I can (when there is flaking paint – who paints a deck??? ), but I just haven’t had time to do it yet. Hopefully next week! 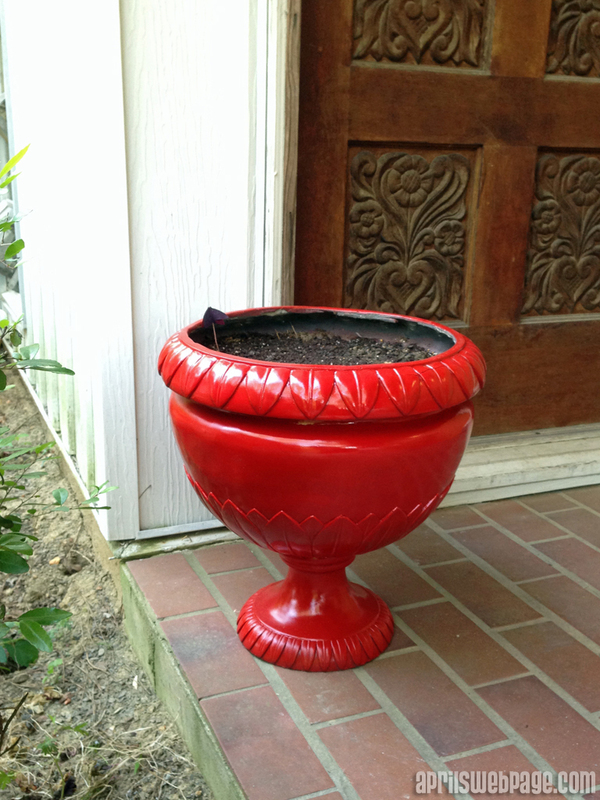 I currently have some geraniums in the red planters. 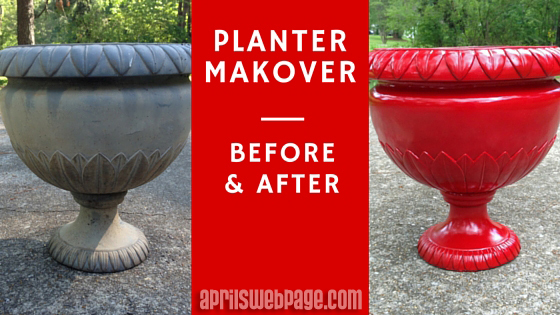 The picture below was just recently taken, almost a year after having the planters out on the deck. The paint still looks great! I’ve had quite a few people compliment me on these, and I was able to do these in just one day.